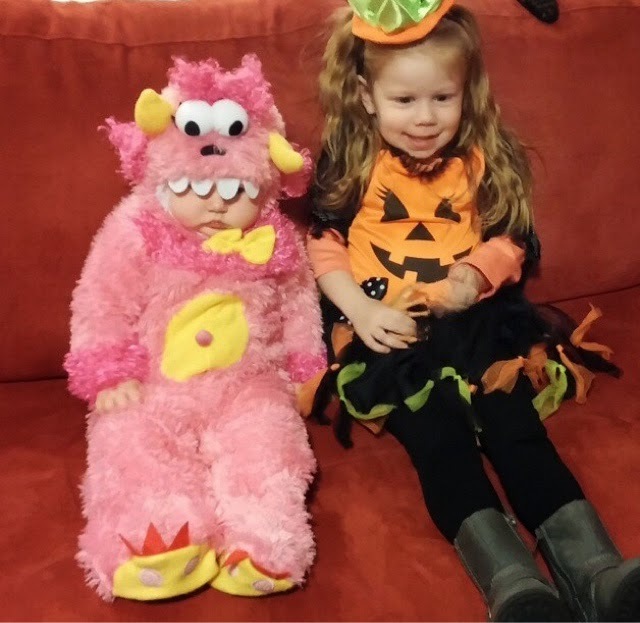 First up, we had a great Halloween. My parents and Lisa came down to trick or treat with us and have some pizza and pumpkin bread. Kennedy was a pro trick or treater and made a haul with all the trick or treating she did. And now we have a giant bucket of candy sitting in our house tempting me every single day. Brynlie hated her costume but was a good sport about being carted around the neighborhood. I've been in blog-hiatus for a week because I've had extreme technical difficulties this week. My phone that was only a year old just up and died. I was entering something in myfitnesspal and it froze and then just shut off and I couldn't get it back on. No matter what I tried. My warranty had just barely expired and they wouldn't override it to get me a new phone. We pay for insurance but I guess there is a deductible and I wasn't terribly crazy about my phone to begin with so I really didn't want to fork out money to get a new one that I don't love. Long story short, (or is it?) I am now the proud owner of a new iPhone. I'm super excited to be an Apple disciple again. And now I can blog from my phone, too! But in the mean time while I waited for the new iPhone to come, I was given a phone that was about 7 years old too use. I'm not kidding. It had the slide up key board, no way to send pics, no internet, no apps, just calling and texting. So I wasn't able to take many pictures of our super exciting lives during the week. 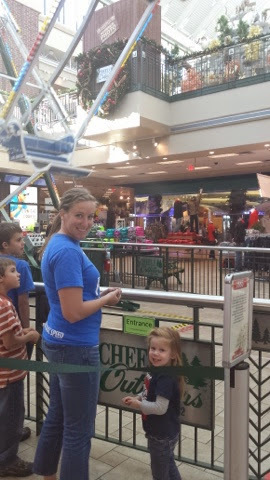 But, we did go to Scheels on a whim and ended up having a super fun time. 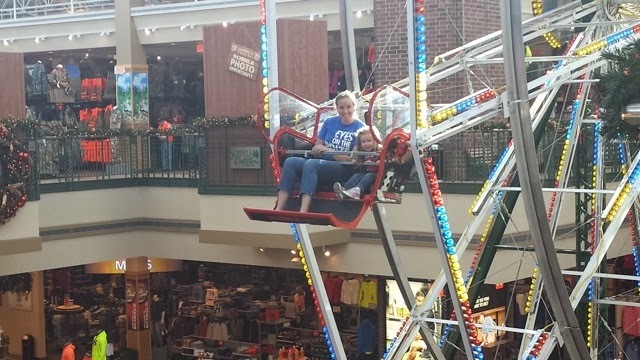 Kennedy is now tall enough to ride the Ferris wheel so we each took a turn riding with her. I wanted pictures of her and Cory but I forgot to get his phone from him before they got on and my phone wasn't able to do anything. So you get pics of us. I was so excited to ride it with her until we got on and went up... Then I remembered how much I truly hate Ferris wheels. Explain to me how I can rock climb without fear but Ferris wheels scare the crap out of me? This weekend has been a rough one. 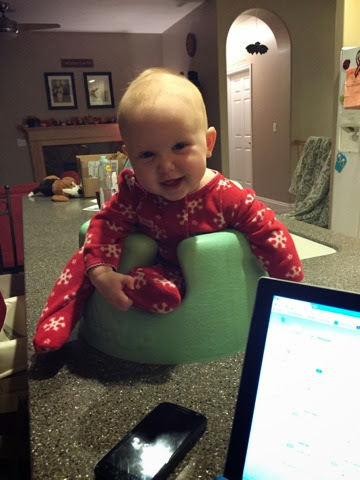 Brynlie is sick with a nasty cold and has been a little more than difficult. I'm hoping she gets over it fast and that no one else in the family gets it. She's still cute though.